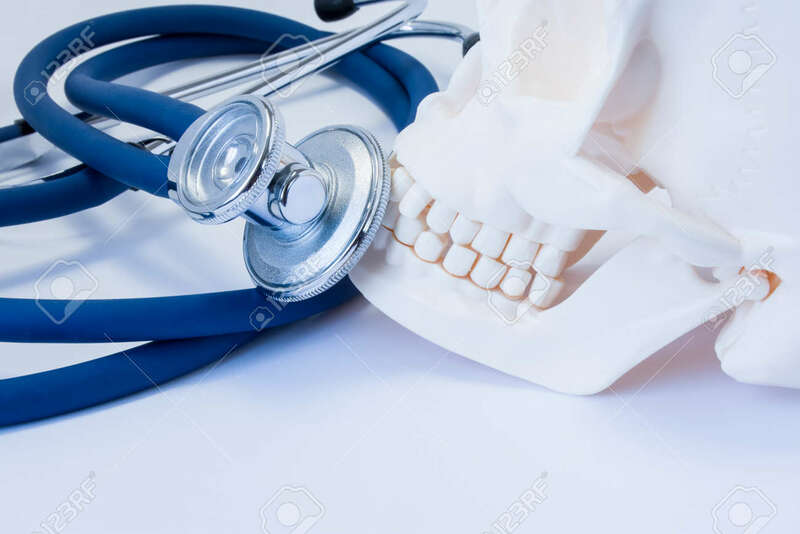 Model Of Human Skull With Teeth With Stethoscope Or Phonendoscope Near. Photo Symbolizing Dental Health Or Diagnosis Diseases Of Teeth, Periodontal Gum Disease, Dental Treatment Or Oral Cavity Disease Royalty Free Stok Fotoğraf, Resimler, Görseller Ve Stok Fotoğrafçılık. Image 92760362.